Photo - 4/9/19 The fence is down and most of the work for the new school is done! Looking forward to moving back when we are able. More info to follow. Now if it would only stop snowing. April 17, 2019 - Wednesday is the last Community Lunch of the season. Sponsored by Mark H. Dyer, Inc., it features roast beef with garlic and rosemary, mashed potatoes with gravy, roasted asparagus with Parmesan cheese, green salad, rolls and butter, and Pavlova with mixed berries and whipped cream. Suggested donation is $7. Doors open at noon. The meal is served family style, so each table receives enough of the various menu items to serve eight. -- If there is a Delayed Start at Yarmouth schools, the school boat will leave Chebeague at 9:05 AM instead of 7:05 AM. The 7:05/7:20 AM ferry will not run. --- SPRAYING FOR BROWN-TAIL. During the first or second week in May, Bartlett Tree will spray the Route One lot for brown-tail moth. The spraying should be completed before the first bus of the day. The spray may get on vehicles but it will not damage the paint. Customers are urged to park in the center rows of the lower part of the lot to minimize exposure. As soon as we have a definite date, we will post it. However, it would be prudent to park away from trees beginning the end of April. April 12, 2019 - Message from the Rec about a fitness health program called Postal Core - click here. Palm Sunday - Sunday, April 14th - We remember Jesus's entry into Jerusalem - Sunday School for all ages at 9:45 AM, Worship at 10 AM. Mandy Thursday – Thursday, April 18th, 7 PM – We remember the servanthood of Christ and his Last Supper with a handwashing service and Communion. -Good Friday Tenebrae Service – Friday, April 19th , 7 PM – We journey with Jesus over his last few hours on earth with this service of light into darkness. -Easter Sunday – Sunday, April 21st – Easter Sunrise service on the East End at 5:45 AM, with a light, informal, potluck-style breakfast to follow at the Parish House. Easter Worship service at 10 AM in the sanctuary, with Sunday School at the Parish House at 9:45. Easter Flower Forms in memory or in honor of loved ones are available in the Parish House. Forms are due on Thursday, April 18th, or you can email the church office. Flower drop-off is Saturday, April 20th between 9 AM and 1 PM. If you are unable to get to town to purchase flowers, contact the church office at 846-6987 and we can get flowers for you. Please pick up your flowers after Easter Sunday worship. April 10, 2019 - Message from the Island Council: Thanks to everyone who came to the Chebeague Island Council's Health Screening, Mac and Beth for the donuts and to the generous folks who donated such great prizes for the drawing. And the winners are: Rec. Center Gym memberships, Jennifer Hamilton and Donna Damon. Personal Trainer time with Brian Phipps, Mary Soderstrom. Two Thursday Night Dinners from Christine Englund, Ann Thaxter. $25.00 Gift Certificates to the Red Studio, Lola Armstrong and Nancy Earnest. $25.00 Gift Certificate to the Slow Bell Cafe, Gayle Helbig, $25.00 Gift Certificate to School House Seconds, Binkie Boxer. Hair Cut with Alyssa, Jackie Trask. $40.00 Gift Certificate to Chebeague Water Taxi, Bob Earnest. Six Lobsters from Andrew Todd, Will Vaughan. Chebeague Island Library Tote Bag, Beth Howe. CTC Guest tickets, John Thaxter. Winners should watch their mail for information on how to claim their prize! It is not too early to start thinking about the 4th of July Parade. 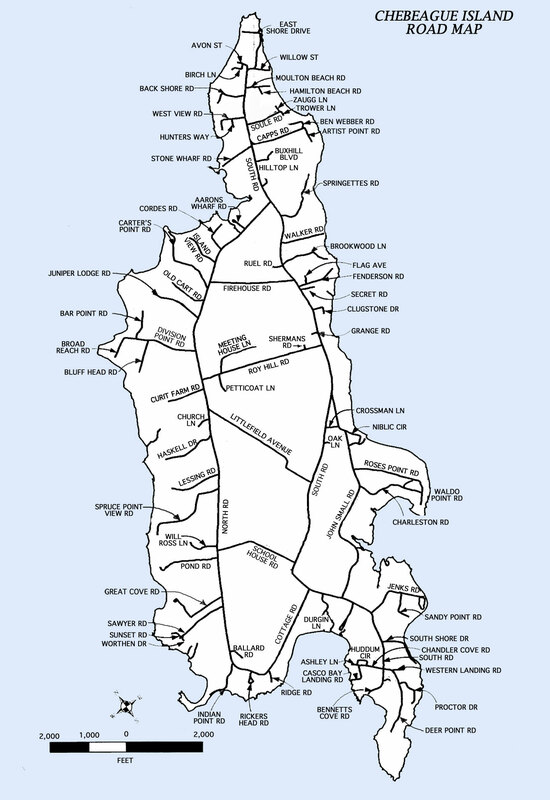 Please submit your ideas to chebeagueislandcouncil@gmail.com or send a note to P.O. Box 12, Chebeague Island ME 04017. The winner will get 15 minutes of private shopping time before the grand opening at School House Seconds! April 9, 2019 - Mark your calendar for Island Commons’ 3rd Annual JENNY WREN 5K: Sat. May 11th, 9am-12noon. Walk/Run in honor of a special woman in your life, and support a great cause. For event details, Online Registration, or to make a pledge, please visit https://www.islandcommons.com/jenny-wren-run Hope to see you there!! Wednesday Soups are: Vegetarian = Pasta Fajioli and the Non-Vegetarian = Beef Stroganoff. April 8, 2019 - School Committee Meeting, Tuesday, April 9, starting at five with executive session - click here for agenda. Congratulations to Scott Webber and his Math team at Mast Landing School in Freeport who came in first - click here to read about it and see a photo of the team. April 4, 2019 - This Saturday April 6 is the day! U.S.M.Student Nurses and Dr. Seiverling will be here for the ANNUAL FREE Health Screening! Get blood pressure, blood sugar and cholesterol checked, get a tetanus booster, see dermatologist Dr. Seiverling for a skin check. And if that is not enough, there will be Mac and Beth's homemade donuts and a drawing for lots of great prizes - things like Rec. Center gym memberships, personal trainer time, gift certificates to the Chebeague Water Taxi, the Red Studio, the Slow Bell and School House Seconds, a library tote bag, a hair cut with Alyssa, 6 lobsters from Andrew Todd, a book of CTC guest tickets, or 2 Thursday night dinners from Christine. Please join us and show the U.S.M. Nursing Program and Dr. Seiverling know that we appreciate their willingness to keep bringing these services to Chebeague! April 3, 2019 - Message from May: "Hi Folks: We are back! The Slow Bell will be open this weekend, both Friday and Saturday, April 5 and 6. This week we'll be serving braised beef with onion gravy on mashed potatoes with salad and a roll, Ahi tuna burger with Asian slaw, and wasabi aoli, crab and corn chowder, and mixed fruit cobbler. We'll also be serving your favorites, including pizzas, chicken fingers, fries, salads, and burgers. We'll continue to serve our limited winter menu until mid-May, when we'll introduce our new summer menu. Also check out our drink and beer specials and KARAOKE both nights. Hope to see you at the Slow Bell. 846-3078 Call ahead for take-out." April 2, 2019 - Tomorrow there will be only one soup and that will be Venison Stew. DATE CHANGE: The DMR Aquaculture Public hearing has been rescheduled to Monday, April 8, 2019 at 6:00PM at the Chebeague Island Hall. April 1, 2019 - High School Seniors and Parents ~ Do not forget that applications for the Stephen L. Ross Scholarship are due May 1st! All seniors that live on full time are eligible for this scholarship. You can find the application on the Maine Community Foundation Scholarship page under scholarships available in Cumberland County. We look forward to receiving your application. If you have any questions please do not hesitate to call Sarah McKinnon Koerber at 846-0565 or 650-9292 - Click here to go to find the application online at the Maine Community Foundation. March 29, 2019 - School Committee Meeting next Tuesday April 2, at 6pm at the Rec - see agenda. Parents are reminded that they must pay for their children's ferry trips to off island activities (e.g. sport teams) or obtain tickets from the Parents Association. March 27, 2019 - ATTENTION!! - Property Taxes are due this Friday, March 29th!!! Please click here for a message from the Chebeague Methodist Church. Wednesday's non-vegetarian soup will be Potato Leek with Ham. The vegetarian will be Indian Lentil Cauliflower Soup. See you there! March 24, 2019 - TELE-MEDICINE IS HERE!! The Wellness Center will be open for Tele-Medicine Monday mornings 10:00 - 11:00 and Tuesday evenings 6:00 - 7:00. Stop in and see how it works! A volunteer will be there to help. March 22, 2019 - Photo - Friday the Chebeague Island School took a field trip to the Museum of Chebeague History. 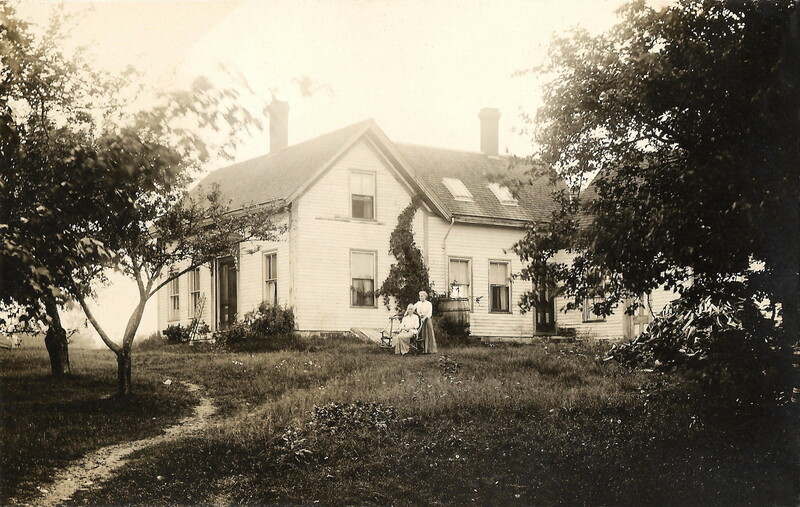 They are working on a project to compare sites around the island from over a 100 years ago to today. Donna gave them a wonderful tour and they were able to participate in a scavenger hunt of historical information. Click on the photo and see some other photos. March 19, 2019 - The Board of Selectmen will hold a Public Workshop on the Stone Wharf Concept Plan Review this Saturday, March 23, 2019 at 9:00AM at the Chebeague Island Hall. All are encouraged to attend. Kim Martin has a new website - click here to see her wonderful work. If you want to run for selectmen or school board, nomination papers are available. Please click here for more information. School Committee Meeting tonight, Tuesday, at the Rec Center - see agenda. March 17, 2019 - Ralph is once again doing the Boston fight for a cure climb on March 30th, for the American Lung Association. Click here for the link so that you can donate to the cause. March 16, 2019 - Congratulations to Susan Stranahan who has a terrific Opinion peice in The Washington Post called "Why don't US nuclear regulators acknowledge the dangers of climate change?" March 14, 2019 - Congratulations to Danielle Rich Rideout who was the news last night talking about the her job as the Westbrook Recovery Liason in Westbrook. Click here to see the report. A few weeks ago the Selectman had a Public Workshop along with the Broadband Committee about improvements to the internet on Chebeague. You can see and hear the meeting by clicking here or go to the site listed above under the EVENT CALENDAR. Don't forget tomorrow SHAMROCK SHINDIG at Island Commons - Friday, March 15th 4:30-6:30 pm Don your green & come celebrate St. Patty's (and perhaps the end of winter?). Enjoy delicious appetizers & good cheer. This is a free community event, open to all. The Red Studio will be open for shopping during the event, and we have loads of terrific new items. The Whalers, Chebeague Island's community chorus, is looking for singers to sing with us for our summer concert, "What's Love Got To Do With It?" Rehearsals are from 7:00-9:00PM on Tuesday nights at the hall, starting on March 26th, with the concert scheduled for Saturday, June 22nd. -We accept singers of all experiences and abilities. We also accept youth as young as eleven or twelve, so long as they come with an adult guardian or mentor. -Interested in signing up or learning more? Just e-mail Ben at b.yosuadavis@gmail.com or show up on Tuesday night at the Hall! Generously Sponsored by Jack's Property Service! Corned Beef • Colcannon • Carrots• Clapshot• Green Salad • Soda Bread • Chocolate Stout Cake Suggested donation: $7 -- Doors Open at NOON! Come by the CRC this month to view our upgrades and take advantage of our March Annual Fitness Special $99 (regularly $120)! March 11, 2019 - SHAMROCK SHINDIG at Island Commons - Friday, March 15th 4:30-6:30 pm. If you're on Chebeague this Friday, please join us at Island Commons' annual Shamrock Shindig! Don your green & come celebrate St. Patty's (and perhaps the end of winter?). Enjoy delicious appetizers & good cheer. This is a free community event, open to all. School Committee Meeting at the Rec Center starting at 5 with Executive Session - click here for agenda. Message from the Todd Family: The love and support we have received from our family, friends and community has been overwhelming. We are grateful for each and every one of you. March 7, 2019 - FERRY TRIP CANCELLATION ON FRIDAY 3/8 ON FRIDAY 3/8 THE ISLANDER WILL RECEIVE SOME NEEDED MECHANICAL MAINTENANCE. THEREFORE, IT IS NECESSARY FOR US TO CANCEL THE 10:00/10:15 AM FERRY ON MARCH 8TH. THE NOON BOAT WILL RUN ON SCHEDULE. March 5, 2019 - CUMC is hosting a Mardi Gras Pancake Dinner tonight from 4 - 7 PM! Crafts for all ages start at 4 with dinner beginning at 5. On the menu: pancakes, bacon, sausages, berries and fruit, crepes with creamed chicken and mushroom, and more. Cost is by donation; all funds will go to support the island ministry of this church. Click here to see photos of the Winter Festival taken by Cathy MacNeill! 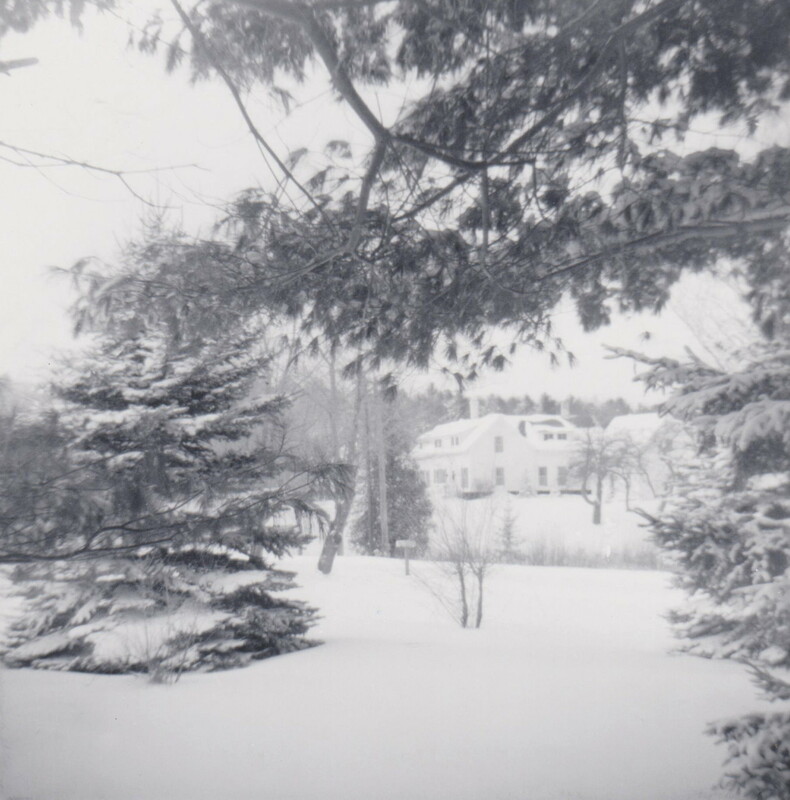 March 4, 2019 - Today there was a snow storm and no school - about 4 inches of wet heavy snow. The Board of Selectmen would like your input. Please come to the Board Of Selectmen Public Workshop on Conceptual Plan Review-Sunset and Stone Pier, Wednesday, March 6, 2019 at 6:00PM at the Chebeague Island Hall. School Committee meeting Tuesday, March 5, 2019 at the Rec Center - see agenda. The soup for Wednesday is a non-vegetarian Mulligatawny (Anglo-Indian chicken and lamb). The vegetarian will be Cream of Asparagus Soup with Leaks and Tarragon. 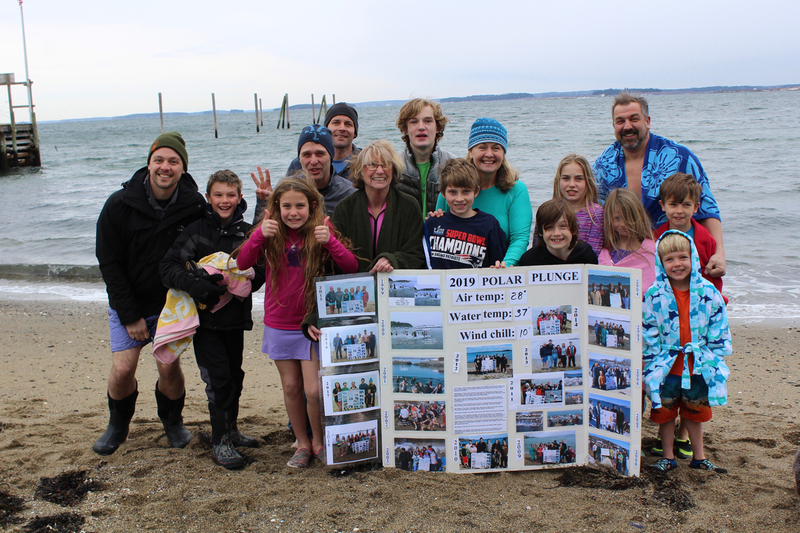 March 2, 2019 - Photo - March 2nd 21st Polar Plunge had a large group of plungers ranging from 5years old to 70 years old! They were Andrew, Wilder, Anna, Chris, Brian, Bev, Cameron, Alex, Erika, Nate, Carly, Savannah,Travis, Lucas and Ben!! 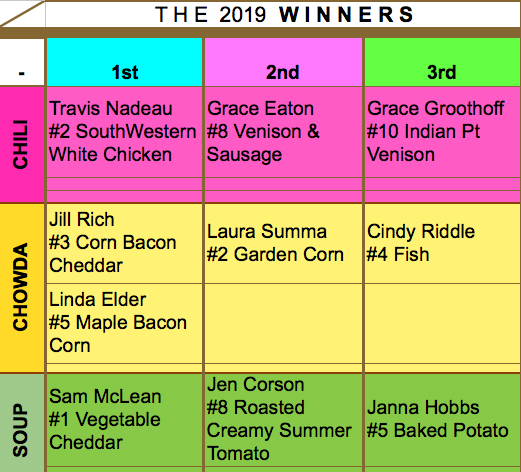 Click here to see the WINNERS OF THE CHILI, CHOWDER SOUP! Click here for a video of the plunge. Click here for photos of the day. LOTS HAPPENING TODAY!! 9am Planning Board at the Hall --- 11am POLAR PLUNGE (Erika, Bev, , Brian, Nate, Anna, Savannah, Carly, and more) --- 12 Noon CHILI, CHOWDER, SOUP CHALLENGE! ---2:30 CURIT TRAIL HIKE! March 1, 2019 - CCLT TRAIL HIKE 3/2 SATURDAY UPDATE we’ve checked the Curit trail this afternoon, and it’s pretty good walking. Wear boots; snowshoes not needed (unless we get heavy snowfall Saturday). Meet at 230pm Saturday 3/2 at the Curit Trail trailhead, just south of the Parish House on North Road. Hope to see you there! REMINDER: THIS SATURDAY, March 2, 2019, 9-11am. Planning Board will hold a public workshop to gather ideas on how we can develop our Land Use ordinances to best support the Comprehensive Plan goals of "Preserve the Character of the Town of Chebeague" at the Hall. Come join in the conversation, then head on down to The Plunge! Conceptual Plan Review-Sunset and Stone Pier, Wednesday, March 6, 2019 at 6:00PM at the Chebeague Island Hall. Lots of work going on for tomorrow's Polar Plunge and Chili, Chowder Soup Challenge! Some of the plungers are Erika, Nate, Savannah, Anna so you won't want to miss it at 11am at the niblic. Click here for a waiver to plunge if you would like to sign it ahead of time - I will have some with me at the plunge. There will be lots of food at the challenge and some great prizes - see you all there with my chili. Don't forget the Get Out to Nature Walk on Chebeague after the Chili, Chowder, Soup Challenge - 2:30 Curit Trail - click here for more info. February 28, 2019 - photo taken by Phil Soderstrom of a barred owl on their bird feeder February 27, 2019. 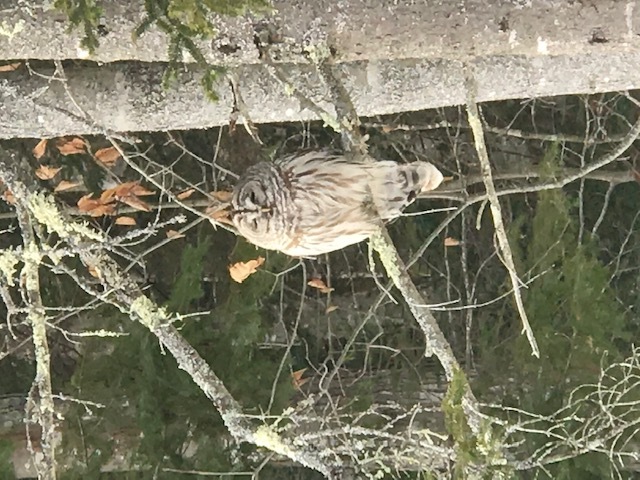 Click here to see another barred owl photo taken by Denise Hamilton on February 20th as she was walking to the Hall. Click here for the reason we are seeing so many barred owls these days! CTC has an opening for a part-time deckhand. The employee would work as a fill-in for vacations, etc. during the winter. However, more hours will be available starting in April when barging starts and through the summer. For more information, visit the Jobs page of our website chebeaguetrans.com or call the office at 207-846-5227. Island residents preferred. February 27, 2019 - POLAR PLUNGE! March 2nd - Looking for plungers!! We have three people so far who say they are going in and are looking for pledges. Please contact me if you are thinking of going in and I will let you know how easy it is and how much fun! You also can contact the Rec Center. Of course I haven't decided yet if I'm doing it but I will know for sure in a couple of days! Remember to come down and support our brave plungers at 11 am at the Niblic. You are welcome to plunge and not collect pledges but of course if you do collect all the better! Don't forget to sign the release or have your parents sign if you are under age. CHILI, CHOWDER AND SOUP CHALLENGE! Please sign up to make a chili, chowder or soup - some of the usual competitors aren't here this year so your chances of winning are even greater! Text (712-8412) or email Laura Summa and let her know what you will make. March 2nd NOON. SKATING FRIDAYEVENING SKATE - Sanford's Pond Friday, March 1st 7-10pm - enjoy hot cocoa, refreshments and family skating. The CTC March Newsletter is available on the News and Info page of their website, chebeguetrans.com. Also posted on that page are the Crew Assistance Schedules (trips where the crew can assist passengers in getting up and down the ramps) for February - April. All documents are also posted here. There is only one soup today: turkey tetrazzini at the Hall at noon. February 26, 2019 - CHEBEAGUE & CUMBERLAND LAND TRUST HIKE come join us at 2:30pm March 2, after the Chili Chowder Cookoff, for a short hike on the new Curit Trail. Meet at the trailhead, just south of the Church, on North Road; it’s about 2/3 mile round trip. Easy hike, depending on what sort of snow we have for ground cover; we’ll post more details as we get closer and trail conditions become clear. Come join in! Click here to learn more! February 25, 2019 - School Committee Meeting Tuesday, February 26th at the Rec Center starting at 5pm with executive session - click here for agenda. May and Bea leave Friday on the Baobab Canopy's medical mission in Zanzibar. There is still time to help them reach their funding goal. Thanks for the support! Click here to learn more and donate. February 24, 2019 - Important Notice From CTC: There is a forecast for high winds for tomorrow (2/25) especially in the evening. Keeping safety our priority, we will continue watching the weather and post news of any cancellations as early as possible. February 22, 2019 - A week from tomorrow, March 2nd will be the 21st Chili, Chowder, Soup Challenge and the Polar Plunge!! Christine England is looking for soup, chowder and chili challengers - please give her a call (508) 410-5601 or email and let her know what you will be bringing! We are also looking for plungers - time is set for 11:00 am at the Niblic! 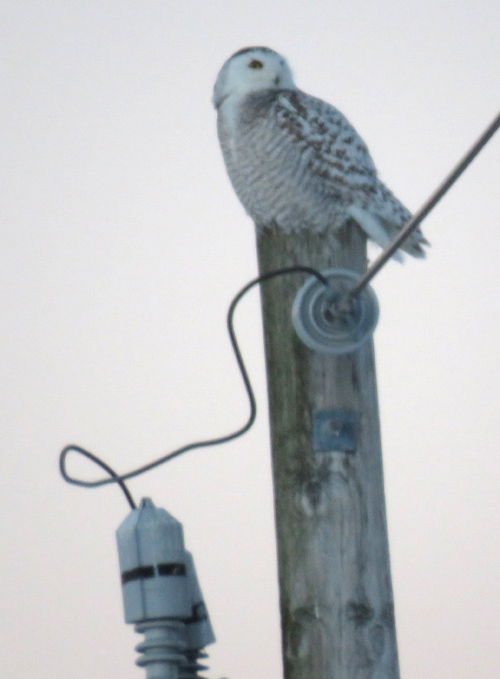 February 19, 2019 - photo of a snowy owl taken 2/19/19 down at Sandy Point. It is a little blurry because I didn't want to get too close. We stayed on the main road and she was on the pole closest to the house - see here. February 15, 2019 - NOTICE: Reminder that the Island Market will be open tomorrow, Saturday from 9 to 1pm and then be closed until next Saturday February 23rd. from 9 - 4:30. I have added the obituaries for Jim Dayton and Bob Follette. February 13, 2019 - The Casco Bay Islands Alliance offers small grants to island non-profits in support of projects and activities that benefit Casco Bay island communities. The February 21st meeting of the CTC Board of Directors is cancelled. The next meeting will be March 21st at 6:30 PM at the CTC office. As always, the public is welcome! 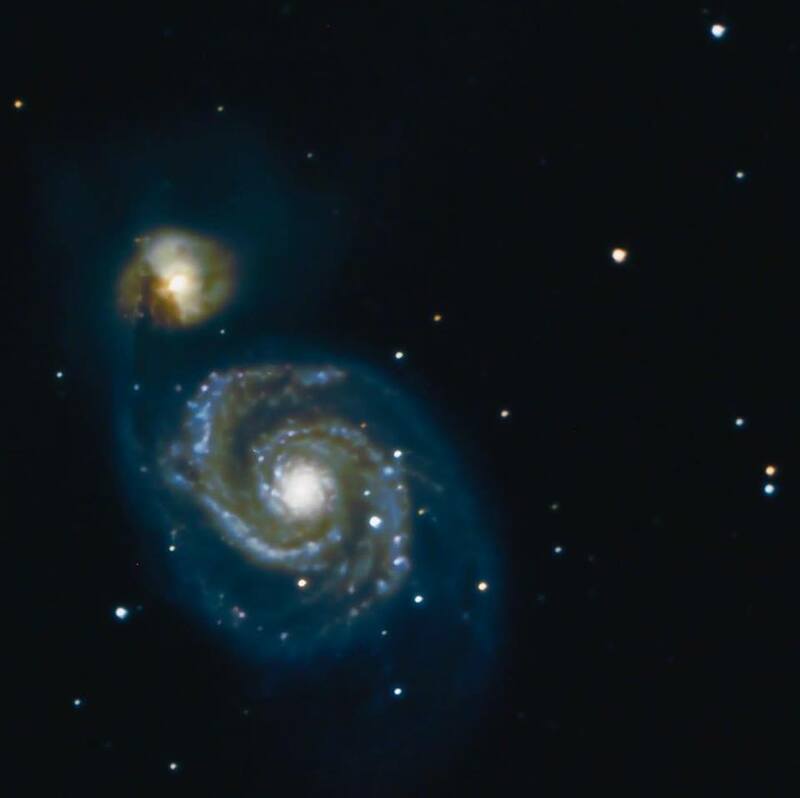 February 11, 2019 - photo by Kevin Wentworth of M51, the whirlpool galaxy - check out his Chebeague Island Skywatchers Facebook Page. Planning Board meeting scheduled for Tuesday, Feb 12, 2019 is rescheduled to Feb 26, 2019. Special Town Meeting on Wednesday, February 13, 2019 at 6:00PM, at the Chebeague Island Hall - To see if the Town Meeting will grant easements to property owners for a Shoreline Stabilization Project on Bar Point Road. February 9, 2019 - The RED STUDIO will be open Sunday from 1 to 3, just in time to find that perfect, unique gift for Valentine’s Day (for your sweetie, or for yourself). Wonderful new collection of vintage clothes, craft and vintage jewelry, antiques, vintage aprons and all sorts of great temptations. Get out of the house, come see what's new, and support a good cause. February 8, 2019 - Special Town Meeting on Wednesday, February 13, 2019 at 6:00PM, at the Chebeague Island Hall - To see if the Town Meeting will grant easements to property owners for a Shoreline Stabilization Project on Bar Point Road. Note that the Island Market will be open Saturday February 16th and then CLOSED Sunday February 17th through Friday February 22nd for a Vacation. February 7, 2019 - Message from May: Hey folks: We are still working on our goal of $6500 to go to Zanzibar on the Baobab Canopy Medical Mission March 2. Towards that end, and in support of their community service mission, the Teen Center is sponsoring a TURKEY DINNER at the Hall Saturday, February 9 at 5:30 p.m. We will be serving turkey, mashed potatoes, squash, stuffing, rolls, cranberry relish, and apple crisp. Donation is $12 pp, children under 12 $6, family max $35. We will have a slide show available of last year's mission, a 50/50 raffle, and karaoke following dinner. Come out and support this great cause. Donations can be made at the event or through our GoFundMe page. Need more info? Call or text May 332.2368. --- Our first rehearsal (February 10th) is an open rehearsal with lunch afterwards, so feel free to come to check it out and see if it’s right for you! There’s no audition or prior experience required and if you have questions, just email Ben at ben.yosuadavis@gmail.com! Reminder: Winter Festival for the Rec is March 2nd! - Lots of details coming soon. The plunge will be at 11 with the Chile, Chowder and Soup at noon. I think we have a lot of plungers so it will be exciting! Bob has always followed this website and kept in touch with Chebeague. 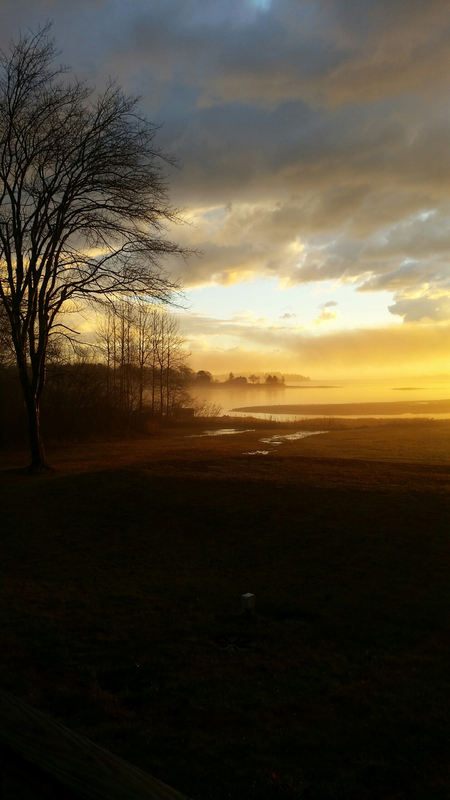 Click here for a photo of the Island View from Polly Hunneman. Click here for a much older photo from Polly. February 5, 2019 - There was an article in the Forecaster this past week about the Independence - the new CTC boat - click here. School Committee Meeting tonight 5pm Tuesday, February 5 at 6pm - click here for agenda. February 4, 2019 - If you are calling to making an appointment with Dr. Rybka for this Wednesday be sure to call the correct number 829-6463. The ad in the Council Calendar is correct but the number is incorrect in the back page calendar. Chris Auffont found a childs wallet at the Stone Wharf today - call her at 203 675-3983 if it is yours. February 3, 2019 - Patriots won the Super Bowl 13-3 against the LA Rams. Whoopy!! February 1, 2019 -There is an article about Chebeague's new boat Independence in the online Working Waterfront- click here. 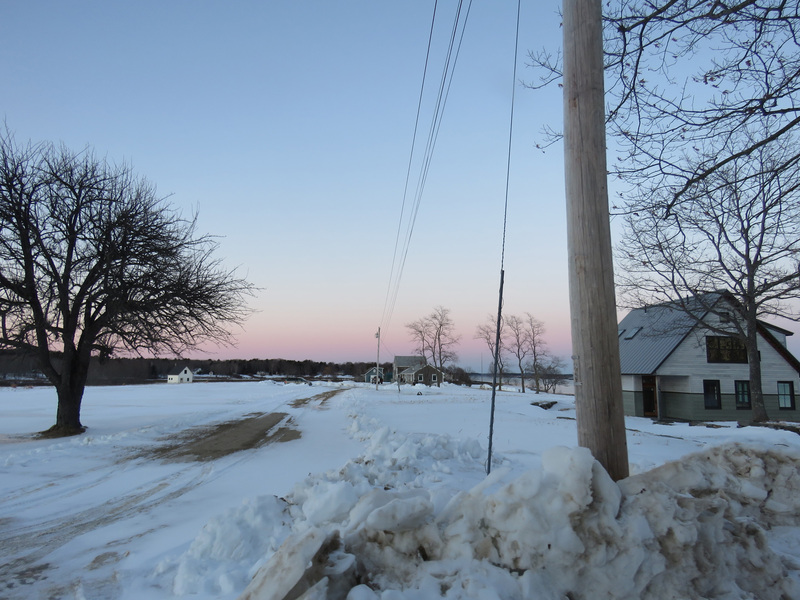 January 31, 2019 - photo taken by Sam Birkett on January 31st - the air temp is 1 degree and the wind chill is -17 degrees. FROM THE PLANNING BOARD click HERE to learn more about good septic system maintenance. Well maintained septic systems save you money in the long run, and, help protect the aquifer! Here are 10 Ways to be a Good Septic Owner. I am sorry to report that the Great Black Hawk had to be euthanized - you can read all about it on Avian Haven's facebook page. January 30, 2019 - The CTC February Newsletter very important. It defines conditions under which CTC will safely provide assistance to passengers. CTC also provides a calendar of trips where the crew can provide assistance through 3/31. Visit the News and Info page of chebeaguetrans.com for more information. Reminder that tonight Tuesday at 6pm, Yvonne Thomas from the Island Institute is at the Rec Center for Scholarship Information Session. FMI contact Yvonne Thomas, Education Specialist at ythomas@islandinstitute.org or 207-701-1537. January 28, 2019 - Donations are still coming in from our recent mailing of the Annual Report - please if you haven't seen it check it by clicking here. Let me know if you would like a hard copy sent to you. Donations are still being matched so send your donation to Recompense Fund c/o Maine Community Foundation, 245 Main Street, Ellsworth, ME 04605. THANK YOU to all those who have sent their donations! We will be accepting grant applications soon from our non-profits. SAVE THE DATE - . Winter Carnival NEW DATE will be MARCH 2ND this year. Plungers and chili/soup/chowder contestants should please contact Christine Englund via text 508-410-560 no later than Feb 22. Look for more updates on timelines and events along the way. January 27, 2019 - Please go to the GoFund Page to see how you may help the family after the tragic death of Emily. "Emily Todd, island girl, daughter, sister to her adoring brothers, lover of light and the most peaceful soul’s life was taken from this earth in early December by a senseless act of violence. Many of you have asked how you can help the Todds after this horrible tragedy." Three people submitted the name Independence. We drew the winner from a hat - congratulations Beth Dyer!! January 25, 2019 - Tomorrow morning at 9am at the Hall is an important Broadband Workshop, Saturday, January 26, 2019, 9:00 AM- 11:00 AM at the Hall - Refreshments will be served.The committee and selectmen really want to hear your thoughts and opinions. Please don't forget to check out the video - click here. Remember that tomorrow evening DON’T MISS THE HALL’S COMMUNITY SUPPER ON JANUARY 26 - Featuring your favorite Italian comfort foods!!! The doors open at 5:30pm - with several kinds of homemade lasagna, stuffed shells, prochetta, chicken parmesan, salad and garlic bread. Dessert table including Gina's world-famous cannoli. Bring your favorite bottle of wine to complement this fabulous meal. Generously sponsored by Michael Hollander and Janna Hobbs to promote mental health awareness. Suggested donation: $7. January 24, 2019 - Just a reminder that there is Cribbage on Friday nights at the Parish House at 7 PM! Don't worry if you don't know how to play; there are folks available to help teach you if you'd like to learn. Hope you can join us! CUMC will host one final Parent/Caregiver Support Group meeting on Sunday, January 27th from 2 - 3:30 PM in the sanctuary (childcare provided in the Parish House). We'll simply touch base with each other and share where we find ourselves after the holidays and in the middle of the winter season. Open to all. Today's weather and wind is a concern so it is a good idea to keep tabs on the CTC boat and bus situation just in case it becomes necessary to cancel a boat or bus. For updates, follow their Facebook page or sign up for emails and/or texts on the Cancellation page of their website. January 23, 2019 - DON’T MISS THE HALL’S COMMUNITY SUPPER ON JANUARY 26 - Featuring your favorite Italian comfort foods!!! The doors open at 5:30pm - with several kinds of homemade lasagna, stuffed shells, prochetta, chicken parmesan, salad and garlic bread. Dessert table including Gina's world-famous cannoli. Bring your favorite bottle of wine to complement this fabulous meal. Generously sponsored by Michael Hollander and Janna Hobbs to promote mental health awareness. Suggested donation: $7. Tomorrows soups at the CIHCC are Vegetarian = Potato Leek and the Non-Vegetarian = Seafood (scallops, shrimp and crabmeat) Chili . The famous Great Black Hawk that was hanging around Deering Oaks in Portland was found hurt on the ground during the storm on Sunday morning and was transported to Avian Haven (we have brought many sick birds to them) where he/she is recovering from frost bite - Avian Haven's Facebook page is keeping us informed about the bird's condition. January 21, 2019 - School Committee Meeting tomorrow evening, January 22, 2019 starting at 5:45 - see agenda. 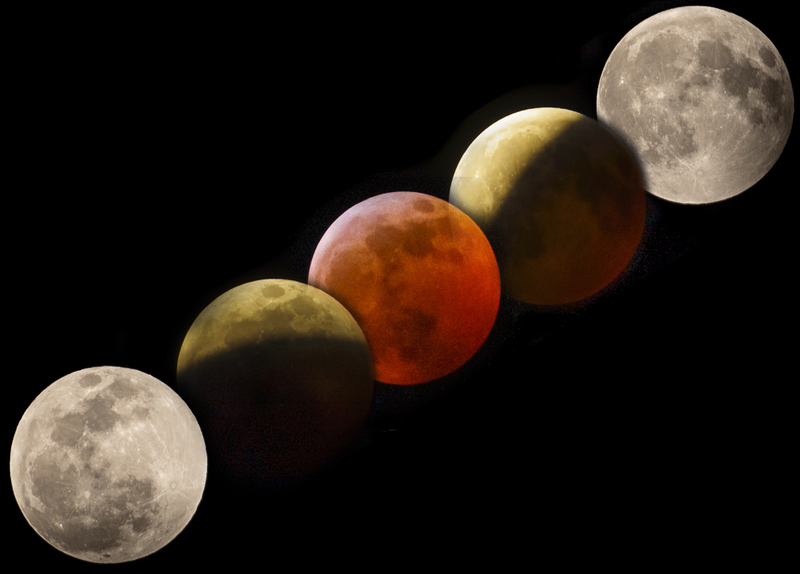 Bruce Tompkins stayed up for the super blood wolf moon and took an amazing group of photos - click here to see. January 20, 2019 -photo taken by Steve Todd of the teens clearing the ice last night, January 20th. Hopefully there still will be skating this week - we only got about 6 inches of snow. Click here for another view from last night. Island Institute is hosting a Scholarship Information Session Monday, Jan. 28 from 3:00-5:00 at the Casco Bay Lines conference room in Portland. Click here to see a poster about it. FMI contact Yvonne Thomas, Education Specialist at ythomas@islandinstitute.org or 207-701-1537. Yvonnewill also be visiting the school on Chebeague the following day, Tuesday, Jan. 29, and will be having an on island scholarship information session that evening. More details to come. Message from John Howard: "It's time to spread the word of open heart surgery performed successfully on John Howard this past Wednesday at Maine Medical. I'm writing this myself but not ready for visits. See Steve for details. Or ask Melissa Y-D to call me or Ginny ( to give Steve a break too). I may be home Tuesday. Planning on a 12 week recovery, so it will be quiet. Maybe some music later on. Go Pats!" January 19, 2019 - Sunday's storm may force cancellation of the 10:00/10:15 AM ferry. We will send notices and post on Facebook whether or not cancellation is needed. Also, the storm surge may result in flooding near the fence at the Cousins Island parking lot. Customers may want to consider moving their cars to Route One. It would certainly help in clean up after the storm! January 17, 2019 - Save the Date: March 2, 2019, 9-11am. Planning Board will hold a public workshop to gather ideas on how we can develop our Land Use ordinances to best support the Comprehensive Plan goals of "Preserve the Character of the Town of Chebeague" at the Hall. January 15, 2019 - Wednesday's Community Lunch features turkey and gravy, cranberry sauce, Brussels sprouts with bacon and shallots, mashed potatoes, butternut squash, green salad, rolls, and sticky cranberry gingerbread with maple whipped cream or apple Charlotte Russe. Doors open at noon. Suggested donation: $7. Sponsored by Island Electric. Following the luncheon around 1pm, Steve Baybutt, Clinical Director of MaineHealth Care at Home will be presenting about Tele-Medicine on Chebeague! Click here for their brochure. Click here for their website. 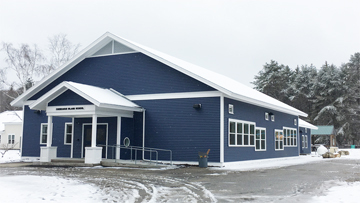 Reminder from The Recompense Fund to all non-profits on Chebeague that one month from today grant proposals for the Maine Community Foundation - Community Building Grant Program need to be submitted. Last year the Maine Community Foundation gave out over a million dollars to communities in Maine with an average grant of $6100. Click here for more information. January 14, 2018 - Sanford's Pond is up and running!! The Rec Center will be posting times when chaperones will be at the pond. Tomorrow, Tuesday, it will be open from 3:15 with pickup by 5. It is also scheduled to be open on Wednesday from 3:15 to 5 as well. Click here to see the guidlines and to sign the waiver. Message from the Rec: MEET YOUR 2019 HEALTH GOALS with a team behind you. Wednesdays 4:45-5:15 beginning 1/16. Meet at the Rec Ctr Fitness Room for POSTAL CORE, a program to chart your goals, get inspired in a team setting and do a 20 minute work out of your choice. See Flyer. $5 drop in fee. The Chedemption Baggettes are sending out an SOS! We need a couple of folks to help us load banana boxes at 8:00 am this Tuesday January 15 at the transfer station and then unload them at Chandlers. The boxes weigh approximately 20 pounds, we will be moving 48 and it takes approximately one hour. Please call Ann Thaxter (653-9823) if you can help lend a hand. Thanks! January 13, 2018 - Kate (not Krista) Hayward, after graduating from high school is taking a gap year with wonderful plans to travel. She has started a blog so her friends and family can follow and you too. Click here and then put your email in the lower right part of the screen. It is called Mind The Gap as she travels to Kenya, Madagascar and Sri Lanka. January 9, 2018 - Message from Sew Good - Please join us to help make Chair Book Bags. Sew Good meets the second & fourth Wednesday of the month from 1 - 5 at the Parish House. This month we are making Chair Book Bags for Guatemala. There are 4 Chebeaguers going this February. We hope to send 50 Book Bags with them. For details contact Lola or Karen. Learn about Tele-Medicine on Chebeague, join Steve Baybutt, Clinical Director of MaineHealth Care at Home. January 16th, at 1:00pm following the Community Lunch. Click here for their brochure. Click here for their website. Save the DATE: Broadband Workshop, Saturday, January 26, 2019, 9:00 AM- 11:00 AMat the Hall - Refreshments will be served.The committee and selectmen really want to hear your thoughts and opinions. Please don't forget to check out the video - click here. January 8, 2018 - Tomorrow's Soups are: Vegetarian -- Corn Chowder and the Non-vegetarian --Russian Beef and Cabbage. There will be NO Coffee tomorrow because of illness. January 4, 2018 - School Committee Meeting, Thursday, January 10th at 6pm - click here for agenda. Updated pictures of the new ferry have been added to the News and Info page of chebeaguetrans.com. The CTC board meeting has been rescheduled from 1/17 to 1/10. The meeting is held at 6:30 PM at the CTC office. The public is welcome. January 3, 2018 - Click here for a cool story about a painting that Gabby and Dave Tracy used to own. 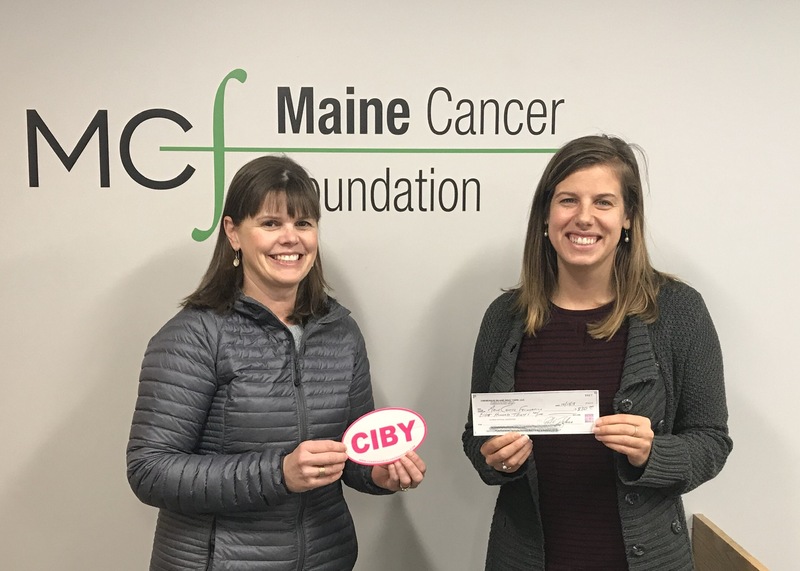 January 2, 2019 - Message from Jen Belesca from the Niblic: "I am pleased to share that the week before last I stopped by the offices of Maine Cancer Foundation to present them with a check in the amount of $830 in loving memory of my sweet friend Althea Dugliss who lost her fight with metastatic breast cancer in April of last year. We sold 166 pink CIBY stickers this past season. Thank you from all of us here at CIBY & The Niblic who purchased a sticker to help the fight against cancer. Click here to see photo. Click here for a message from the Planning Board about our island aquifer. January 1, 2019 - Happy New Year! December 31, 2018 - photo Sunrise, December 31, 2018 by Phil Soderstrom. Wednesday Soups this week are vegetarian: Creamy Parsnip and Carrot Soup and the non-vegetarian: Booya(h) - a chicken and beef vegetable. Our island has a significant demographic problem. We have very few young families, largely because real estate inflation has rendered few houses within the financial reach of most of them. ECHO, LLC was recently formed to address this situation. We are early in the process of developing various plans. Some have asked why it is important for Chebeague to have more young families. Aside from their important role of populating our school, in the future they will manage our government, our transportation company, our assisted living facility, our recreation center, our boatyard, our library and our small businesses including property management. Chebeague needs ECHO in order to support a sustainable future! You may reach us via echo@chebeague.net. December 27, 2018 - This Sunday, December 30th, come to the Parish House at 11am to celebrate Jackie Doughty Trask's 75th birthday with cake and coffee! The CTC January newsletter is now available on their website, chebeaguetrans.com and here. December 25, 2018 - MERRY CHRISTMAS AND HAPPY HOLIDAYS! December 24, 2018- photo Christmas carolers at the store on Christmas Eve. Click here for a photo from the boat when caroling there. Message from May: Hi folks: The Slow Bell will be open this weekend for two special events. Friday night we're offering a special Italian buffet. Lasagna, seafood fettuccini, salads, chicken cacciatore, soup, pizzas, and desserts $24. This will be instead of our regular menu. Friday night we will have karaoke at the bar. On Saturday we will have our annual Holiday Dinner...prime rib or crab stuffed haddock or veggie loaf with cashew gravy. All come with choice of soup or salad and dessert $38. There will also be live music featuring Jerry Smith. RESERVATIONS ARE REQUIRED FOR SATURDAY ONLY. TWO SEATINGS 5:00 and 7:30. Please specify your seating preference and dinner choice. 846.3078 or 332.2368. December 22, 2018 - Come Sing! Caroling around Chebeague on Dec. 24th - 9AM start at the store and sing around the island and then Christmas Eve 7pm at the Church. Contact Erika at 749-8022 for any questions! See Flyer. December 21, 2018 - Message from the Hall: Don't forget to pick up your dishes and clothing from the coat rack by the bathrooms at the Community Center. There is a large collection of stuff, including the insert to someone's crock pot, as well as a large insulated cooler on wheels. There will be Cribbage at the Parish House tonight, Dec 21st! Florence Rich of Island Riches will be at the store today until 3 and tomorrow December 22nd from 10 until 2pm! Are you concerned about someone dealing with trauma or loss? Michael Hollander, PhD is offering confidential assessments and consultations on the island in December and January. Dr. Hollander is a clinical psychologist with over 40 years of experience treating adults, adolescents and families. He is an Assistant Professor in Psychology at Harvard Medical School, Director of Training at 3East at McLean Hospital and in private practice. 45 minutes appointments are being offered free of charge and will take place between 10 and 12:15 on designated Sundays. Contact him directly at 617-251-6635 for more details and to schedule an appointment.